Wimbledon 2011: Roger Federer has lost in the quarterfinals at Wimbledon. The former world number one and now the third seed was chasing Pete Sampras’s record of seven Wimbledon titles but lost in the quarterfinals. This is the 2nd time Federer leaving Wimbledon tournament in quarter finals. This is first time that Federer ever blown a two-set lead in a Grand Slam. 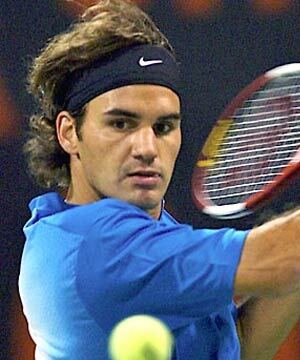 Federer turns 30 in August and only two men in the last 36 years Petr Korda at the 1998 Australian Open and Andre Agassi at the 2003 Australian Open have won a Grand Slam title after reaching that milestone. On the other hand the winner Tsonga is on top of the world and says this is his special day. Jo-Wilfried Tsonga is a talented player but inconsistent. “I felt so good on the court. I was quick, I was just perfect today. Every time I was feeling like a dream,” said Tsonga, who is now in his third grand slam semi-final. “For me it’s the most special because I beat Roger Federer in the quarter-final here on this big court. I like the atmosphere here. For me it’s just amazing. “The feeling is like maybe what it would be like to beat Nadal in Roland Garros, so it’s just amazing. For sure, one of the best memories in my career anyway” says Tsonga. Wimbledon 2011: Sharapova in Wimbledon Finals after 7 Years! Australian Open 2011: Roger Federer out of the race! Australian Open 2011: This time we are not going to see Roger Federer and Rafael Nadal’s fight in final. Roger Federer lost his semifinals to Novak Djokovic. And the world’s No.1 Nadal has already left with injury. The Swiss was beaten 7-6 (7/3) 7-5 6-4 by Novak Djokovic in the semi-finals of the Australian Open.